Book Review- Daniel Alarcon's Lost City Radio — Always Packed for Adventure! 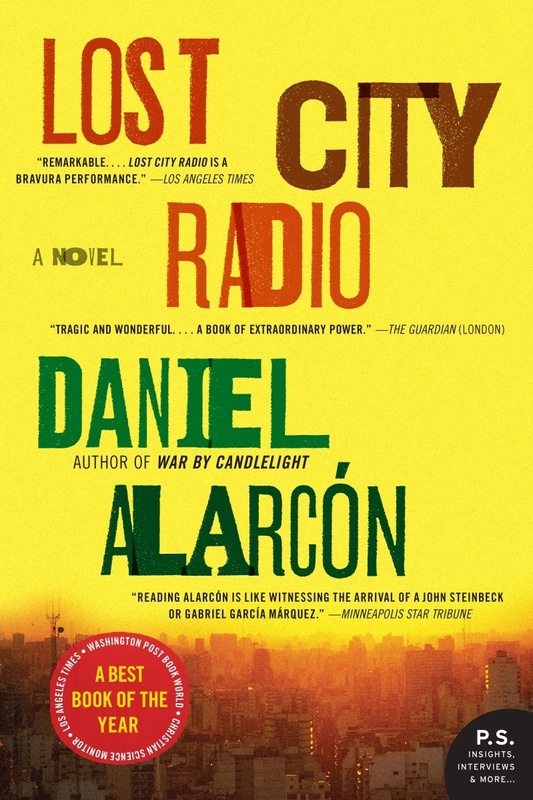 Daniel Alarcon's novel Lost City Radio is set during a violent civil war in an unnamed country (Peru according to the author) and follows several characters from a myriad of backgrounds and locations as their lives intersect in surprising ways. I wanted to enjoy this book, but felt a big disconnect. I'm not completely sure what created the disconnect, but at times, I was finding it a chore to read the book. It seemed just as I was ready to give up, a beautiful passage would draw me in and compel me to keep reading. Alarcon writes lyrically and it's easy to get swept away by his beautiful prose. I found the narraration occasionally be confusion, as he would switch voices. It was an artistic choice, that didn't always work for me. This could have been the biggest factor towards creating the disconnect. At times, the story felt repetitive in its sentiment or just simply not moving forward with regard to either plot or character development. It's not a particularly tricky story with twists and surprises, but the way story jumped between characters and time frames it felt like an episode of Lost! As far as the plot, I found the plight of the Indians to be the most engaging. Alarcon has many big themes in his story and the one of globalization and expanding territories was the biggest take-away for me. It was the most affecting portion of the story. This is a story of people that do not have power and who are without a voice. None are more powerless than the natives caught in the middle of a war that is not even theirs. I enjoyed the interview with the author following the story, more than I enjoyed the story itself. It seems like Alarcon has a rich family History and even though he is adept at writing fiction, I wish that he had written a non-fiction account on the subject.